The issue with the IMS bearing has been fixed. The problem has never been the bearing. It has been lack of lubrication. With the technoFix DOF Kit we send a constant stream of filtered, cooled engine oil right onto the balls of the intermediate shaft’s infamous bearing. 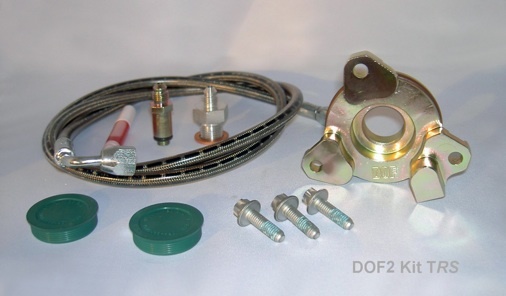 DOF stands for Direct Oil Feed. 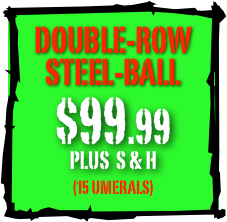 This is an easy installation requiring only the removal of the transmission, clutch/torque converter and flywheel. the engine stays in the car. Our technoFix DOF Kit will work on every M96/M97 engine from the first 2.5 liter Boxster from ’97 through the last Boxster, Cayman and Carrera through 2008. 3.- For second generation large single row IMS bearing shod cars. The technoFix DOF was engineered and extensively tested by Porsche enthusiasts and racers throughout several years of real-world applications. 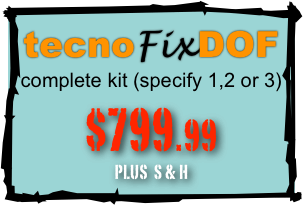 The technoFix DOF is newly patented technology which we now keep in stock, ready to ship. 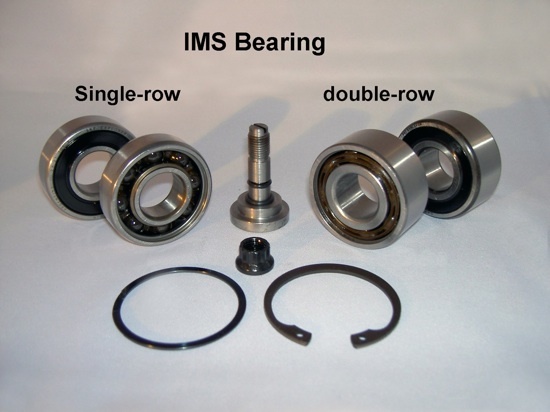 Play the video presentation below to learn more about the IMS bearing issue, its history and how it’s been solved. When you install the technoFix DOF we highly recommend that you also install a new IMS bearing at the same time. 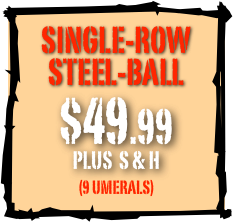 Our bearing kits are offered at very attractive prices, and we carry them in single-row and double-row, both in OEM steel-ball versions. 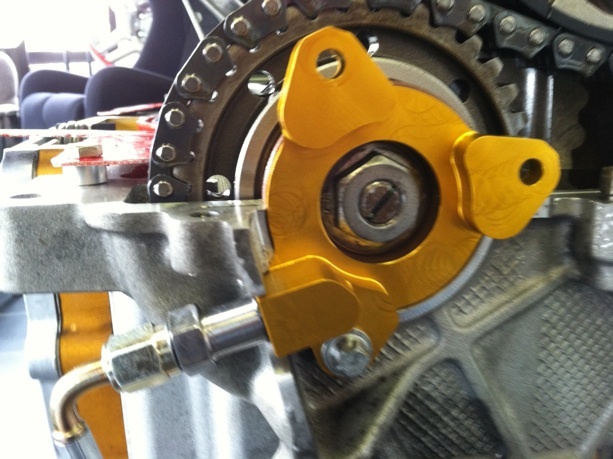 The kits include the bearing, center support shaft with O-rings, nut and retaining clip. Please note that model year 2000 and 2001 overlap in the type of IMS bearing used by the factory, so it could be a double-row or a single-row bearing. Likewise model years 2005 and 2006 also overlap in the type of IMS bearing used by the factory, so it could be replaceable single row, or the non-replaceable single row. 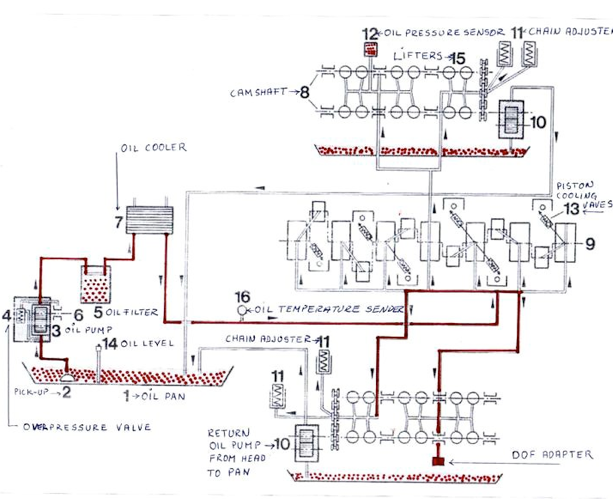 Following is a Porsche oil flow diagram of the M96/M97 engines. uses oil which has passed through the filter and then through the cooler, before it goes onto the IMS bearing. The following video shows what happens to a bearing full of oil once it starts spinning. Splash Lubrication? ... You decide! After we posted the short video showing the horizontally positioned bearing, some of you wanted to see a “Real World” situation, where the bearing is vertical and semi-immersed in oil. 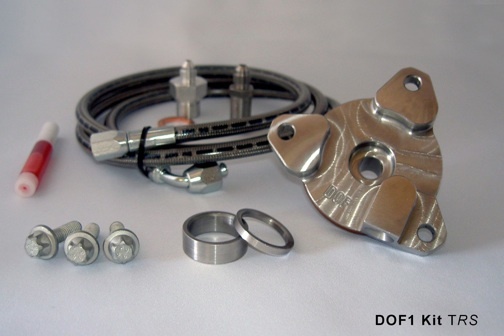 Our bearing kits are not sold separately, only with a DOF Kit. 1)How does the oil get inside the sealed IMS? 2)What product do I recommend to fix the issue?